Beef and Vegetable Lo Mein. A quick and easy Chinese favorite with great flavors! Come and see the recipe here! Beef and Vegetable Lo Mein – Lovefoodies. Categories: Chinese celebrations, Chinese New Year, Chinese recipes, Main meals | Tags: Beef, cantonese, Chinese, chow mein, easy, lo mein, noodles, stir fry, vegetables | Permalink. 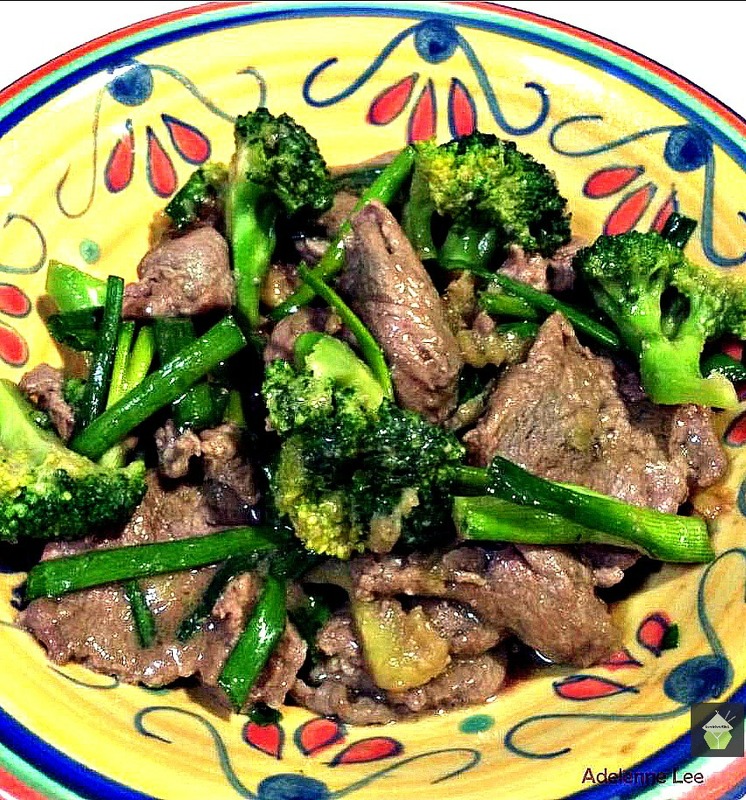 Beef, Broccoli & Ginger Stir Fry. This is a wonderful quick, easy and very tasty dinner, great to serve on it’s own with some rice, or to have alongside a variety of other Chinese dishes as often is done in Chinese cuisine. Categories: Asian Recipes, Chinese recipes, Main meals, recipes | Tags: Beef, broccoli, Cooking, easy, ginger, how to make, recipes, stir fry | Permalink. 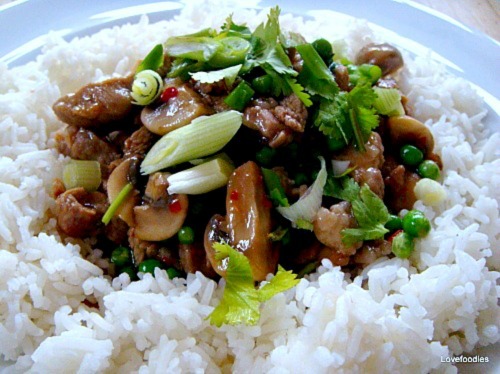 Quick Pork & Mushroom Stir fry, with authentic flavours and very easy to make. Perfectly delicious! Categories: Asian Recipes, Main meals | Tags: Chinese, easy, how to make, mushroom, pork, quick, recipes, stir fry, wok | Permalink. Spicy Chicken, Broccoli & Shrimp Stir fry. Come see my trick how to make the chicken velvety soft like in the restaurants! Categories: Asian Recipes, Chinese recipes, Main meals, recipes | Tags: broccoli, chicken, Chinese, Cooking, Hong Kong, how to make, ingredients, lovefoodies, prawn, recipes, shrimp, spicy, stir fry | Permalink. A great side or main dish, make from fresh or use up your leftovers! Always tasty and real easy to make. Categories: Chinese celebrations, Chinese New Year, Chinese recipes, recipes | Tags: Chinese, Chinese New Year, Cooking, egg, food, fried rice, ham, Hong Kong, how to make, ingredients, Recipe, rice, stir fry | Permalink. Chinese Stir Fry Chicken. Easy, Quick and great with all the flavours you would expect from an authentic Chinese Stir Fry! Check out the technique used to get velvety smooth chicken, just like in the restaurants!. Goes great with some nice jasmine rice. You will love this! Categories: Chinese celebrations, Chinese recipes, Main meals, recipes | Tags: cantonese, chicken, Chinese, Cooking, dinner, easy, food, Hong Kong, how to make, ingredients, lovefoodies, oyster sauce, recipes, stir fry | Permalink. This is my fast fried Chinese noodles, and with an authentic Chinese flavour ! Come take a look, and trust me, you add whatever ingredients you fancy, stick to the sauce / marinade and it will taste real Chinese! Here I used zucchini & mushrooms, you can choose what your favourites are, shredded cabbage is great in this! I also used white rice noodles, they are much lighter and don’t feel so heavy on your belly like the yellow egg noodles. Categories: Chinese celebrations, Chinese recipes, Main meals, recipes | Tags: cantonese, Chinese, Chinese noodles, Cooking, easy, food, Hong Kong, how to make, ingredients, lovefoodies, meal, Noodle, recipes, rice noodles, Scallion, stir fry, vermicelli | Permalink.